The brewers at Port City Brewing Company took home a big honor at the Great American Beer Festival this past September, beating out 518 other brewers to be named Small Brewery of the Year. A small brewery is any one that produces 1,000 to 14,000 barrels a year. The community of Alexandria, Virginia, just across the Potomac from Washington, DC, didn’t need the award to convince them of the quality of beer brewed and bottled in the nondescript building located along an industrial road. The brewery has been producing lagers, IPAs, and specialty brews at capacity for a few years now as they try to keep up with the demand. 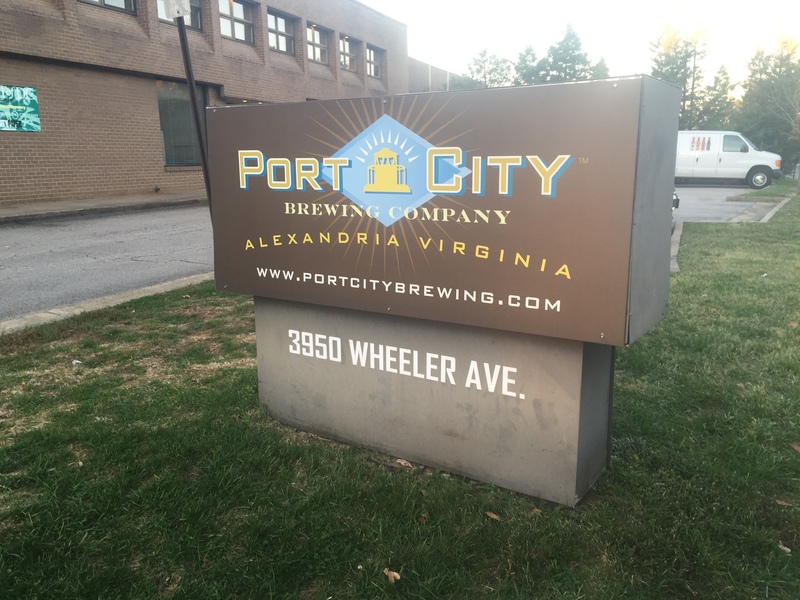 It would be hard to find a bar in the DC metro area that doesn’t carry Port City. The founder of Port City, Bill Butcher, thinks one of the keys to the popularity is the brewery itself. It’s a place fans of their brews can gather. You can stop by for a taste in their tasting room, which serves full-sized pints and lets you pick up beer to go in 6 packs, cases, or growlers. But dropping by for a pint isn’t the only reason to visit, their events calendar is packed. You can drop by on Friday nights for music and beer, or get a little cardio in with Joggers and Lagers on Monday nights. Beer Yoga is one of their most popular events; they’re attracting so many people they hold it on the brewery floor among the massive steel tanks filled with fermenting beer. I’ve been there a couple of times and would recommend it as a stop for any beer lover on a trip to the DC metro area. I recommend their Oktoberfest, stout and IPA.